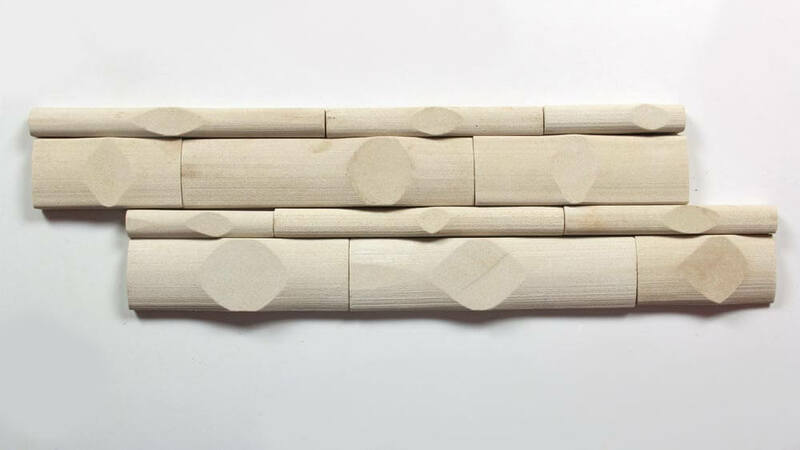 Himachal Bamboo Ivory offer subtle wavy pattern and provide effect of undulating stone weaving across the surface. The Himachal Ivory Bamboo mosaics tile is an extension to our limestone collection. The wavy pattern of bamboo strips creates a innovative and unique design. This product offer subtle wavy pattern and provide effect of undulating stone weaving across the surface. The bamboo curved surface combined with their honed finish brings out the unique attributes for each respective stone. With a sense refinement firmly in mind, each option in the bamboo series is applicable in a variety of design contexts, bringing tasteful lines and rich visual value to all kinds of spaces. The bamboo series is a unique incursion into designs historically constrained to mold-able materials such as glass and porcelain.